Scottish Owned in the Heart of Blackpool. Cheap & Friendly Home from Home. 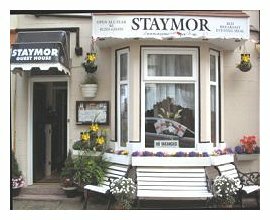 Staymor is a Scottish-owned guest house only one minute from Central Pier right in the heart of Blackpool. 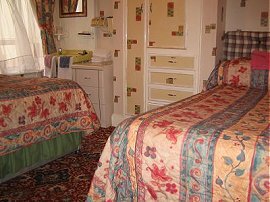 We offer cheap B&B accommodation. 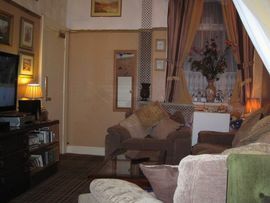 We're close to theatres, the shopping centre, pubs & clubs, the famous Blackpool Tower, Central, North and South Piers. We're ideally situated for trams and buses to Fleetwood, Stanley Park, Pleasure Beach, Blackpool Zoo. At the Staymor Guest House we pride ourselves on our excellent home cooking with meals to suit all tastes. Special diets are catered for along with a children's menu if required. Breakfast is served at 9 am and Evening Meal at 5 pm. The television lounge is open all day for tea or coffee, sandwiches and biscuits or simply to meet up for a chat or watch a movie. The choice is yours at this cheap and friendly guest house. To save you time we offer an instant online availability and booking Service. An additional charge of 5% of the deposit (minimum £1.00) will be applied to cover processing costs. The guest house facilities include: public telephone, family rooms, own keys, overnight stays, weekend breaks, weekly stays, Children Welcome. 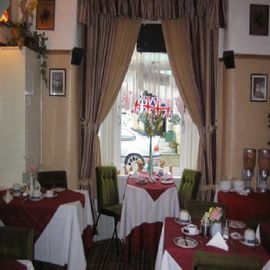 Bed And Breakfast & Evening meal available. We DO NOT offer private toilet facilities in the rooms. We take the greatest care to make your stay here as enjoyable as possible, and provide a service that is flexible and accommodating to your Bed & Breakfast needs. 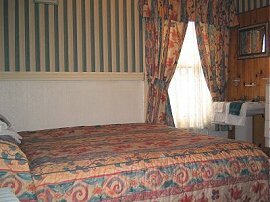 Please note that our rooms are compact - we focus on value for money. Smoking Facilities: Smoking is allowed. In bedrooms only. Special Diets Provision: Special diets are catered for. With prior notice we can cater for your special diet requirements. Take the turn off for Blackpool. Follow the signs to the Pleasure Beach and get onto the Promenade. Drive along prom until you reach Central Pier. At the traffic lights turn right, then first right, first left.